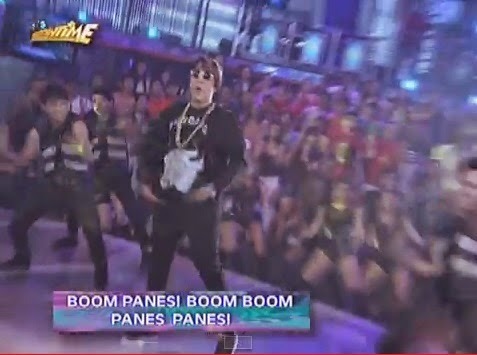 Manila, Philippines - The trending expression '#BoomPanes' on social media is now an official song as comedian Vice Ganda today performs the newest craze 'Boom Panes' on It's Showtime. Vice Ganda have just created the 'Boom Panes' song in just an overnight emergency recording as he mentioned in his tweet recently. After the 'Boom Panes', the most influential Filipino comedian said he will be recording a new song"Push Mo 'Yan Te." Vice Ganda also announced that his new single is now available for download.